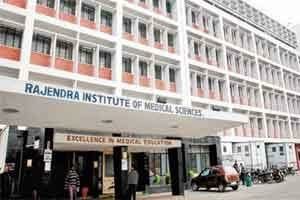 Rajendra Institute of Medical Sciences (Rims) in Ranchi has decided to implement more security measures at its premise. This is being done in order to prohibit trespassing, after a recent report of such cases has emerged at the hospital. There has also been a harassment incident, which led the Rims management to order the closure of nine of its entry points. The three operation points include entry from Bariatu Road, while one leads from Kokar. In addition a directive has been issued by the management to deploy private security guards at all entry points to the hospital. The effort is being made to regulate the flow of urchins, with trespassing attempts being made in to hostels reserved for nursing students, in the past. There have also been reported cases of harassment and miscreants roaming on the premises after sundown. As reported by TOI, “We have 12 entry points to the hospital. Five entrances lead to the hospital while the rest lead to the hostel complex. Of them, nine will be closed down,” Rims director Dr BL Sherwal said on Monday. “The problem has become a serious one for us. It needs to be dealt with efficiently,” Sherwal said. Although Rims has a police outpost on campus after the sine die incident February last, and surveillance cameras in hostels and the hospital wing, the administration feels the need to regulate visitor inflow. The new security measure will likely come into effect from March 1 onwards.